The earliest commercial version of RuneScape has shut down today after seventeen years of service. RuneScape Classic, previously known just as RuneScape, launched in 2001 with a handful of servers and an even smaller handful of developers, going on to amass far more interest than creator Andrew Gower could have ever anticipated. In 2004, RuneScape launched a major update to its engine, introducing RuneScape 2 and relegating the initial version to the now unsupported “Classic” title. 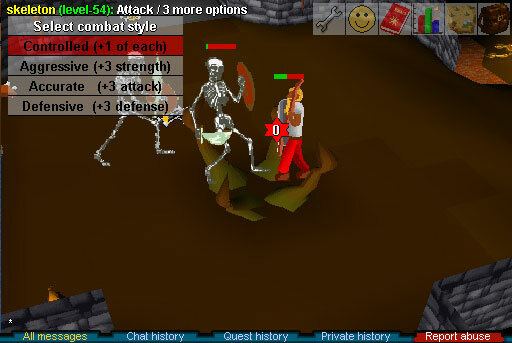 Jagex has kept the Old School servers online for fourteen years despite not officially supporting the product, and eventually shut down the ability for new accounts to even access the servers due to the sheer number of bot accounts and Jagex’s inability to provide updates due to the game no longer being supported. Account registration was periodically opened up over the years, and in May it was finally announced that the servers would be brought down for good due to accumulating bugs and Jagex’s inability to keep the game properly supported. Players gathered to watch the servers come down for one last time today, with the event permanently etched in digital stone via the Twitch link below.